The Karl is a fun dangling set of earrings. 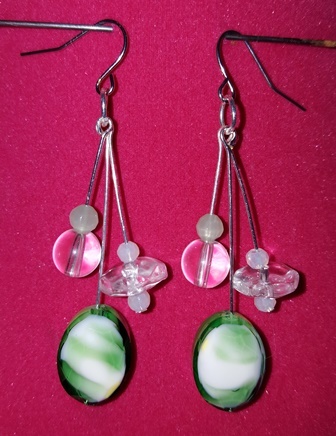 The Karl is a fun dangling set of earrings made of wire and many colors of glass beads. These are for pierced ears with rounded fish hooks. 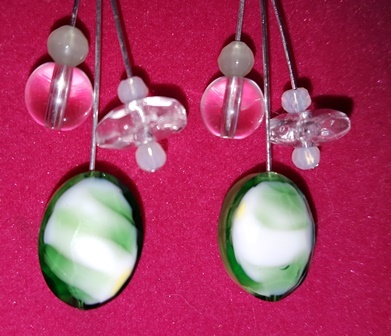 Silver tone metals with glossy translucent swirled green faceted glass drop beads with frosted green and clear accent bead dangles. 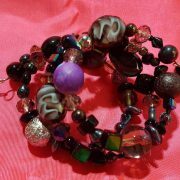 Three lengths of dangles provide fluid eye catching movement. 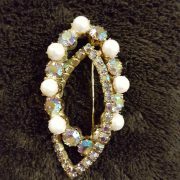 Everyone wants to be an eye catcher, right?